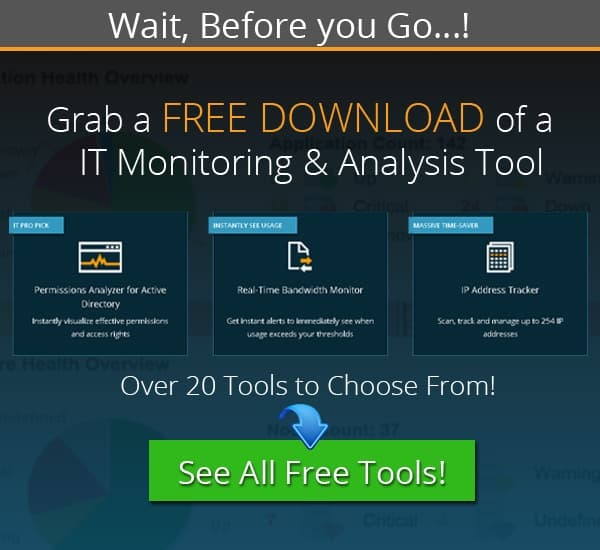 Windows Monitoring Software & Tools for Windows Server 2008, 2012, 2016, 2019 and more! Finding the Best Windows Monitoring Software is essential if you are in charge of many computers on your network within the business environment. This becomes even more vital when one considers that the servers within your organization need to be monitored actively, and that they are probably running Microsoft Windows as well. Being able to check the status of your servers such as hardware readings like temperature, fan operations, hard drive space, memory use, processor loads and more. There are countless items to e measured, and each one has its own importance and potential impact on business operations if anything were to go awry. We will be taking a look at some of the best Windows monitoring tools for you and your team in your environment, and what it is that you need to make the best of your monitoring systems, and what each of these examples provide in terms of functionality, convenience and ease of use. 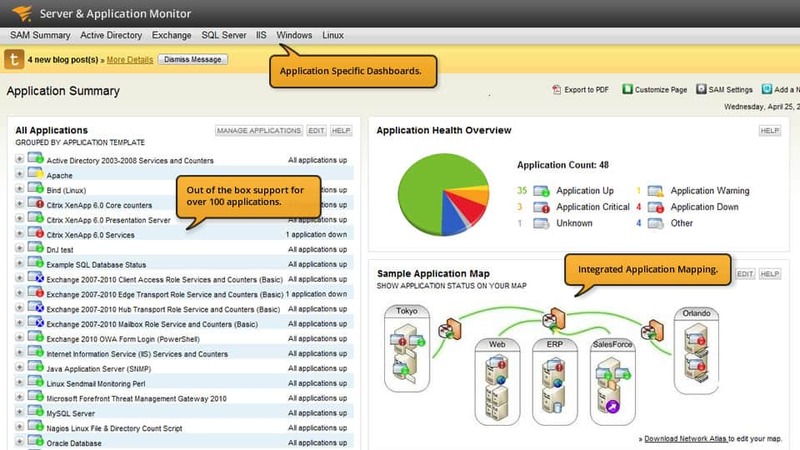 SolarWinds has a vast array of server and workstation monitoring applications that all fill a specific niche in the IT infrastructure space. 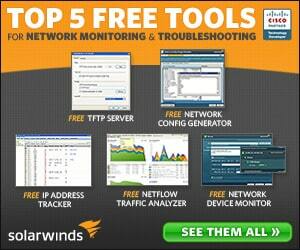 In this case, SolarWinds has Server & Application Monitor. 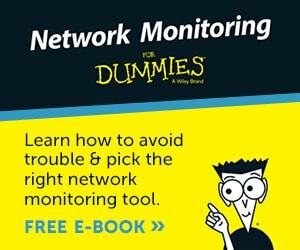 It is an all-inclusive software suite that offers deep insight into the inner workings of your network. 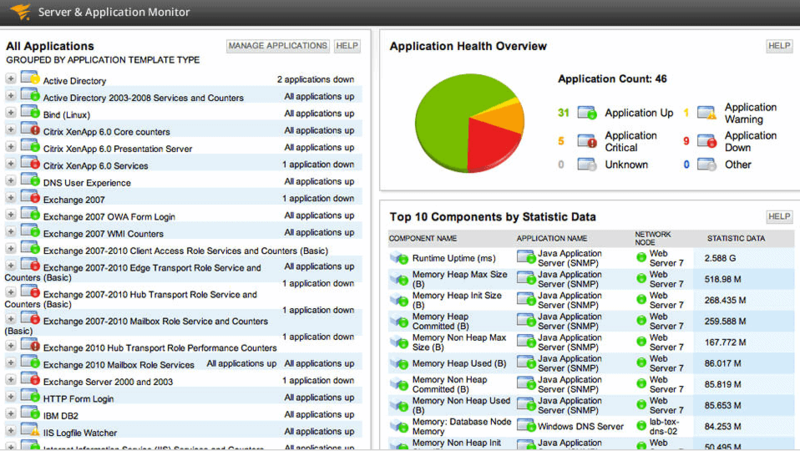 There is an application section that shows what applications are up, critical, in a warning state, down, unknown or other. The features are especially useful due to the application template feature that allows you to group your most vital programs such as Exchange and Active Directory within a set list of groups. This means that all of the most important applications and application servers are able to be monitored from one single location, giving you a wide overview of the current state of your network and servers. Other features include automatic application discovery, automatic updates, easy installation and quick setup, with an entire installation normally taking less than 1 hour to complete. 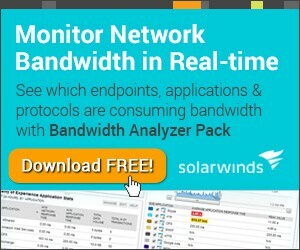 Solarwinds offers excellent monitoring and functionality and is definitely worth looking at if you are in the market for a fully customizable and comprehensive monitoring system on your network. ManageEngine has created a software package that is powerful and user friendly, while being full of highly functional features. ManageEngine understands that networks have become complex and extremely difficult resources to monitor, and that having a comprehensive monitoring solution is not only preferable, but essential. 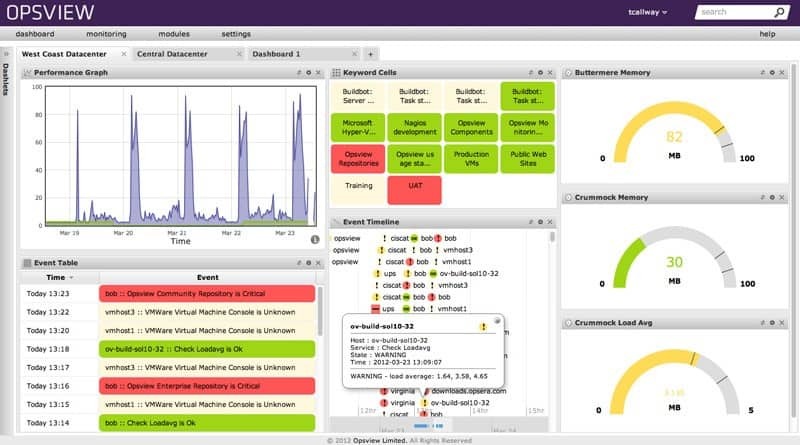 OpManager will help you to monitor application performance, network performance, network faults, application errors and more. 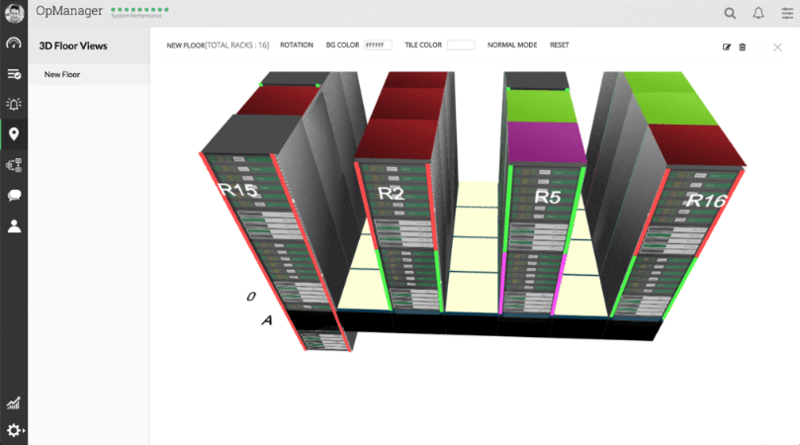 Unique features also include the virtual rack creator, which lets you build a 3D server rack that gives you and your team a graphical representation of what is happening in your physical environment so that you can troubleshoot the physical hardware much more quickly that if you were to go blindly into the server room to start troubleshooting. Users can also create a business view, which is a map based graphic that links your sites together, giving even more visual assistance to support staff. This maps out traffic flow between your sites and allows you to track usage in realtime. Starts at $715 for 25 devices. 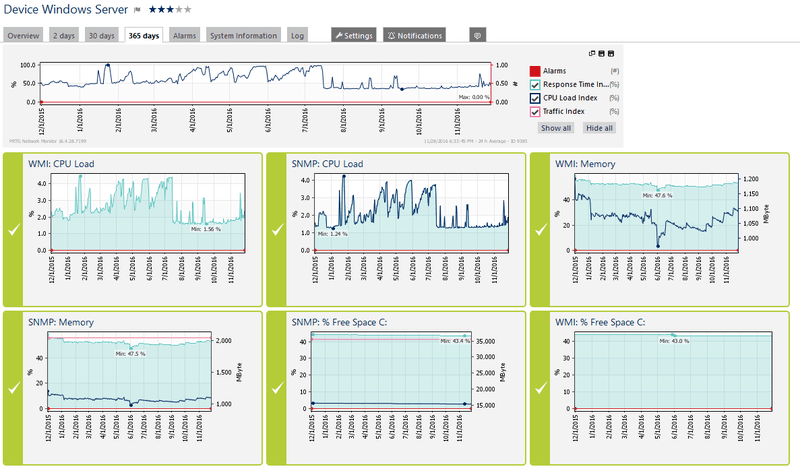 Windows Monitoring Software is underpinned by WMI, SNMP and Performance Counters. There is also support for Netflow, which is a protocol that is used by PRTG for collecting, aggregating and recording all traffic and data within a network. This data gives IT professionals a deeper insight into the inner workings of the network environments that they must maintain and manage. 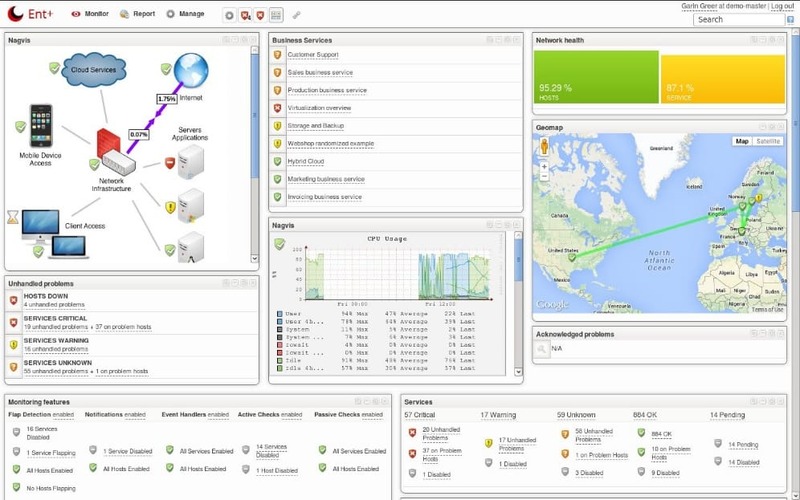 Netflow provides a detailed view of how bandwidth and traffic on the network are being utilized. The technology was originally developed by Cisco and is found in Cisco hardware. PRTG is able to monitor and view CPU and memory usage, as well as traffic activity and uptime of systems on the network. 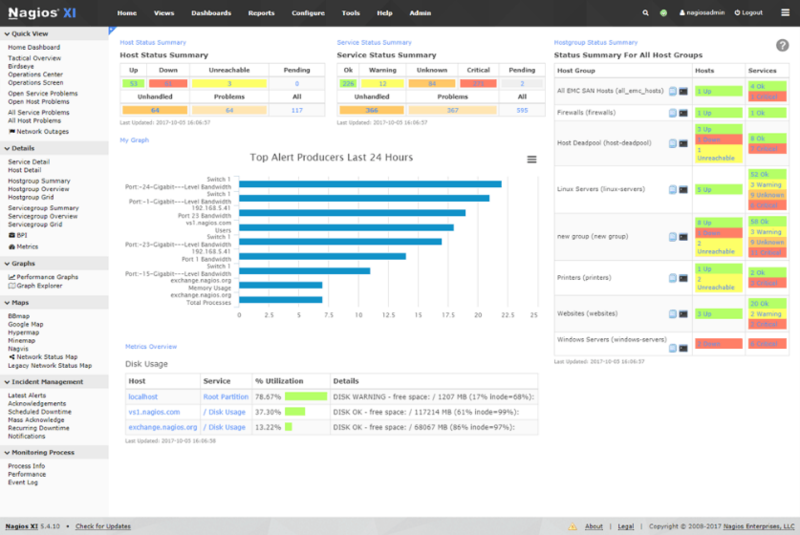 PRTG can also let you look into the Event Logs of your remote systems, which tells you about any errors that have been occurring on the system, and can act as an early warning sign if there are any underlying issues on one of your many servers, workstations and other Windows based equipment. The sensors that you select for your network are customizable, which means that you can monitor only the hardware that you want. PRTG is an overall monitoring system that gives you a clear idea of what is happening on your network, such as database health, mail servers, web servers, virtual servers and more. PRTG offers a 30 day free unlimited trial, which means that you can try it out within your environment and then decide if the product will work for you in your network. OPSVIEW Windows Monitoring is a complete monitoring solution with a full range of product solutions for monitoring and keeping a watchful eye on your network. 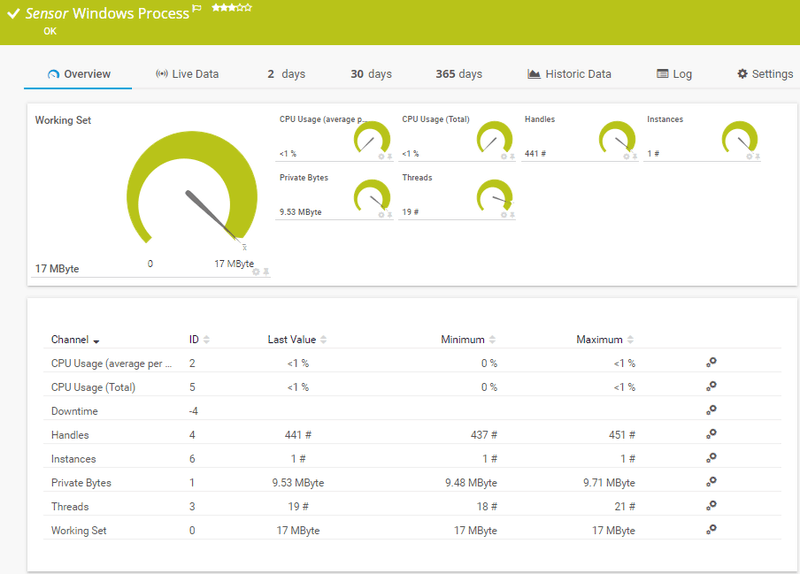 Opsview has a wide range of monitors, graphs and dashboards that give you all of the information that you need to monitor, manage and maintain your network. Resource monitoring such as RAM, CPU and HDD space. 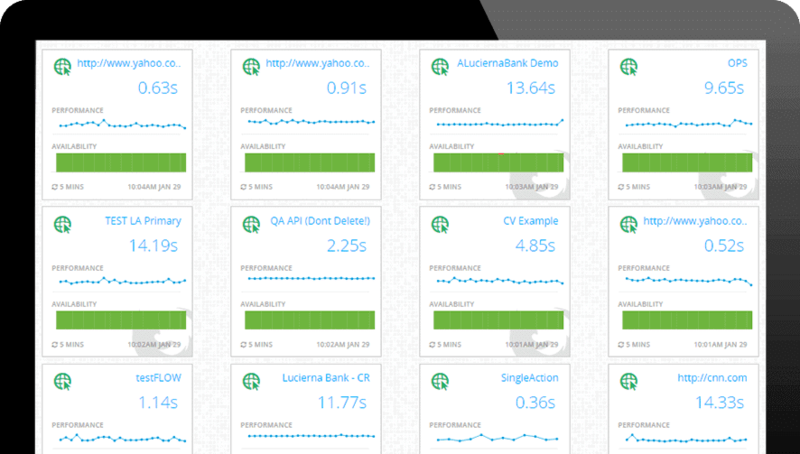 Application monitoring is also available, and there are many software providers that are supported straight out of the box. Opsview provides unified insight, which means that it is a singular platform that provides monitoring, alerts and visual representations of the network that you are responsible for managing. For those that have reporting and SLA requirements, there are excellent tools built into the product that will give you a clear indication of events and alerts. This is especially useful for clients and managers that require tangible information about the state of their network infrastructure. Another excellent feature is that there is legacy OS support for older computer systems, even supporting very old operating systems such as Windows 2000. After you have configured the application, you can expect instantaneous notifications and key features such as Auto discovery. This makes the initial setup phase very quick and painless, which means that your environment will be up and running in no time. Nagios is an excellent Windows monitoring solution, and it has many great features that network administrators love. The functionality spans to both Server and Desktop environments, and allows for monitoring of system services, application monitoring, processes and process states, active users, active applications, event logs, and much more. 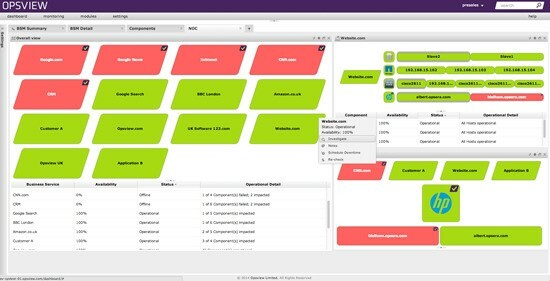 Implementing such a solution yields results such as increased uptime nad productivity, as well as added measuring capabilities for your network, which means that management will be able to see how effective your strategies are while using Nagios. Nagios XI allows for the fast detection of system errors from Windows based PCs on the network, while its auto discovery and persistent monitoring designs allow you to keep your network running in tip top shape without there needing to be much in the way of physical intervention from your part. Nagios has gained wide audiences and clients over the years, and the trend does not appear to be slowing. Graphs and other information is all available through the easy to use interface which will help you to account for your networks uptime and downtime. 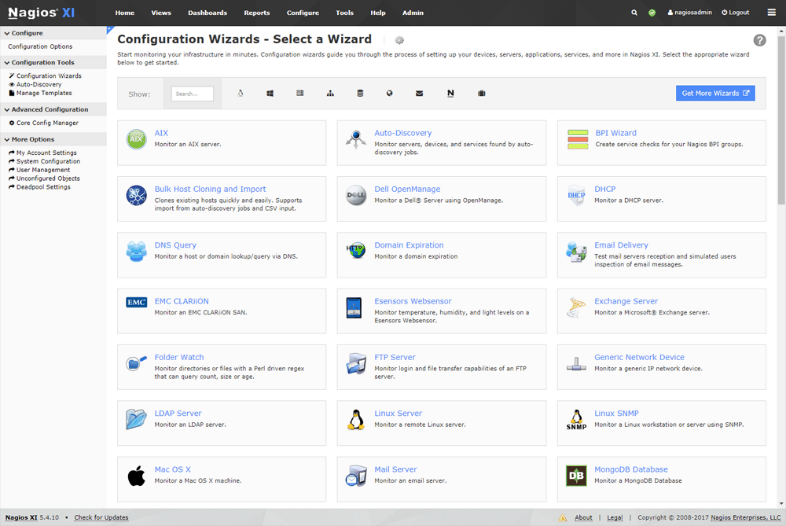 Nagios XI fits the bill if you are looking for a professionally created program that offers some of the best plugin functionality and usefulness on the market. There are so many applications, services, and servers that can be monitored with the software, making it a firm favourite with IT professionals. Be sure to check out the product’s home page to learn more their products and product knowledge. 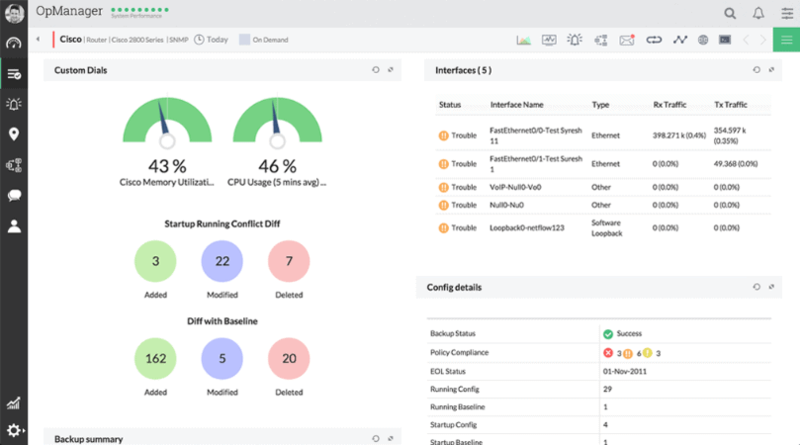 OP5 Monitor is a business service management application that allows you to monitor and manage your Windows based PCs and servers on your network, while providing you with a whole host of different information. This gives your IT department the power to make better decisions that are well informed and backed up by critical dat. This means that when the time comes for you to provide accurate data about the state of your network or environment, OP5 will be able to do everything that you need, and more. A mapping section within the interface lets you chart your business’s server infrastructure and keep up to date with all of your company’s activities at any time of the day. This greatly reduces costs and you can proactively manage the network before any downtime is experienced on the network. This is especially useful for remote sites that require traveling for long distances for your technical team and key staff in your department. In environments where there is software and product development, it is critical to ensure that all of the development tools that are required by your dev team must always be up and running. 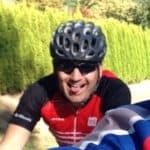 There is a more granular feel to some of the reporting structures within the application, giving system admins and IT managers all of the details that they would need to compile meaningful reports to give to management and clients. Contact OP5 here for pricing. 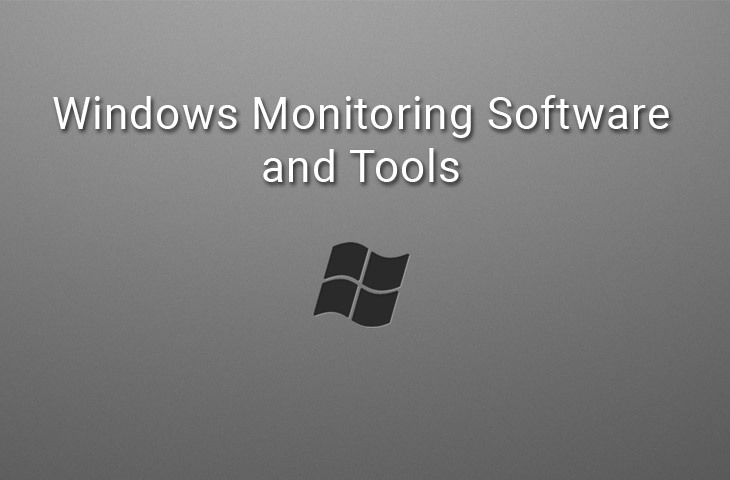 There is a lot to be said about effective Windows Management tools, and monitoring software in general. Modern IT departments are required now more than ever to provide accurate and meaningful data whenever it is required, and the majority of the products that we were fortunate enough to looks at today were all capable in this regard in varying degrees of complexity and ability. There is no way to accurately specify a single product that will suit everybody’s requirements, but hopefully, going through the basic features of each program will provide you with all the information that you need to take the next step and try out one of these applications before deciding which on to purchase a license for.